Electric Bikes are comparable to other bicycles, fun to ride, economical to run and environmentally friendly. Electric Bikes are becoming a more common sight on our roads. 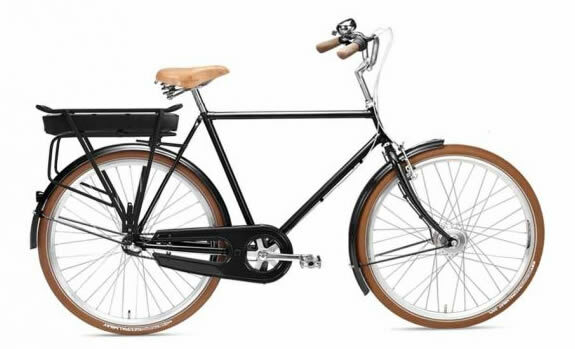 They are the same as other bicycles but they have an added battery and motor which are environmentally friendly and easy to ride. An Electric Bike or eBike is a bicycle which has a motor and battery attached. These help to power the bike providing you with power assisted pedaling, making it easier to pedal. With an eBike you still pedal as normal but the addition of the motor means you get some assistance which is particularly useful on hills and for those looking to build up their fitness levels. Our article on how electric bikes can help with fitness provides more info on this. eBikes usually have lightweight frames, but you can also convert your existing bike using an eBike conversion kit. The bikes are charged either by the mains or you can recharge by pedaling. They look the same as a normal bicycle and if the motor is turned off they operate the same way. With an eBike, you have three different options for riding them. Some bikes come with all three but you may find that some do not, so always check you have the right model before you buy. Depending on your level of fitness you can choose to ride using the motor only, without the motor or by using a combination of the two. 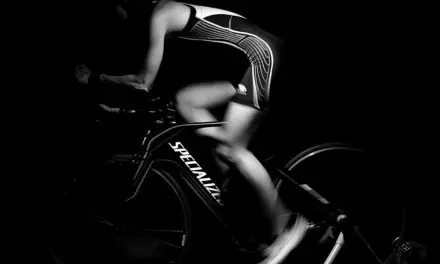 How you plan to use your bike and your level of fitness will determine which mode of operation is most suitable for you. Pedaling with the motor off: If you leave the motor turned off, your eBike will operate just like a normal bike. You pedal the same way but you will be able to turn the motor on if you come to a hill or need a little help at some point. For this, the best option is an eBike which offers power-assist. Pedaling with the motor on: With the motor on, you get assistance when you pedal, so you don’t have to use as much pressure to move the bike. This is a good way for anyone to build up fitness or who is new to eBikes. Pedaling also helps to keep the battery charged so you can handle longer journeys. If you want to combine pedaling with the motor you can choose either full power or power-assist, depending on how much you want to pedal. Using the eBike with just the motor: If you want to you can run the eBike on just the motor. With the motor controlling the eBike, you don’t have to pedal, so if you have health problems or are in recover from illness or an injury, this can be a huge benefit. The major disadvantage to just relying on the motor is that you can only take shorter journeys as the battery will run down quicker than if you combined pedaling with less frequent use of the motor. For this method, you need a bike which offers full power. There are two ways to own an eBike. You can either purchase one ready made or you can purchase an eBike conversion kit and convert your own bicycle. Beginners or anyone who may not be fit will need a lower end eBike to start off. This has limited power and often allows you to pedal or not pedal as you prefer. If you decide to upgrade you don’t need to invest in a whole new bike. Kits are available to adapt the one you have. Pre-built eBikes range from fold-up bikes for those with limited space, bikes suitable for commuters on busy roads and for more experienced riders there are eBikes suitable for off-road or hilly terrain. Folding bikes are good for commuters as they fit neatly in a car or can be carried and stored at work. 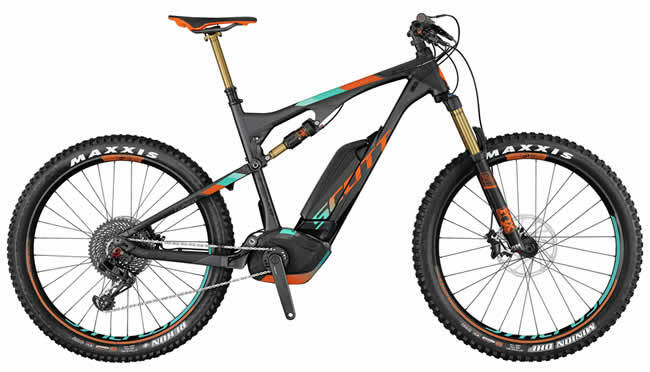 If you enjoy off-roading, you will likely need a eMTB (Electric Mountain Bike). If you commute in the week and enjoy cycling at the weekend, you may decide on a hybrid eBike. Whilst Electric Bikes can be purchased from one of hundreds of local bicycle dealers, they are also available via the UK Cycle Scheme. This is where you purchase your eBike via your Employer on a salary sacrifice scheme. Cyclescheme.co.uk have more info available on the types of eBikes you can choose.. Most eBikes have either a Hub Drive or a Mid Drive motor. The motor is often in the wheel itself, so make sure you choose the right size of wheel. You can of course, use this as an opportunity to change the size of your wheels if you need to. Hub Drive Motor: Hub motors are some of the most popular, not just because they are cheap but because they are reliable. This is a good option for someone looking to convert their own bike for the first time. Hub motors can be mounted on the front or rear wheel, though it’s more common for them to be at the back. These do have disadvantages though, as they can be heavy which can cause an imbalance. Mid-Drive Motor: These are positioned in the centre to provide better overall stability. Mid-driver motors are good on hills as well as level terrain. According to UK regulations, the motor must be a maximum of 250 Watts. The controller does what it says; it controls the eBike. It connects to the throttle, motor and battery and also controls your pedal assist. It’s important to get the right controller so that it doesn’t discharge your battery too quickly and it keeps the current flowing regularly between all components. The screen is what tells you what is happening with your eBike. Most screens are LED display and clear to read. The screen can indicate your battery level, your speed, the distance you have traveled and may have indicators to show the power is on and if your lights are working. More complex screens can give you the temperature, and help you with pavement or hill modes for more serious cyclists. These keep everything connected and are often kept inside waterproof channeling or containers. They should not be allowed to get wet as they can malfunction. These obviously help you stop and there are different options available. They can be compatible with disc brakes, v-brakes and hydraulic brakes, but make sure you select the right brakes for the bike you are planning to convert. Your eBike simply won’t work without one. Some conversion kits come with a battery while others do not. When selecting a battery make sure it is compatible with your kit and that it has the power for your cycling needs. There are many different types of battery for an eBike and your dealer will be able to explain how each of them works. Most eBikes use li-ion or Lithium Ion batteries. These are lightweight, compact and can hold a lot of power. Battery Capacity: This is in amp hours. The higher the number, the more energy the battery can hold so the further you can travel before it runs out of charge. Remember that pedaling will help keep the battery topped up too. Voltage: This figure is usually very similar on most bikes, as UK law limits the amount of power an eBike can create. This figure tells you how powerful your motor is and the more powerful the motor, the quicker your battery will drain. Most people want to know how long a battery will last. This depends on many factors including the size of the battery, the size of your bike and what sort of terrain you ride on. A heavier bike on rough terrain, for example, will use the power in the battery quicker than a lighter bike commuting to work. On average a battery should allow for 15-30 miles of riding before it needs recharging. The life of the battery also depends on the same factors. If it is well looked after it will obviously last longer, but some batteries should last for 1000 charges or even more. You can also get accessories just the same as you can for other bicycles. Baskets and boxes are available for shopping and bottle holders for more serious cyclists. As it is the same as a standard bike, you may find your own accessories will fit without the need for buying new ones. What are the Advantages of eBikes? They’re a bicycle, not a car. Help you to keep fit. You can combine pedal power with motor power to gradually build up your fitness levels. Cheap to run. eBikes are a great way to travel and they run at the fraction of the cost of a car or motorcycle. As a bicycle, they do not need tax or insurance, and they can be ridden anywhere you can ride a bicycle, including cycle paths. Environmentally friendly so there are no emissions unlike a scooter or motorbike. You don’t have to buy a new one if you want it updated. You can simply purchase a new battery or kit and fit it in place of the one you have. Easy to park. An eBike will usually fit in a standard bike rack and just needs a good cycle lock. The great thing about an eBike is that anyone can ride one, however, you must be over 14 years to ride one on a public road in the UK. Thanks to the power assisted pedaling, they are suitable for those who may not be able to ride a proper bike and they are a good way for anyone with any fitness level to get fitter. 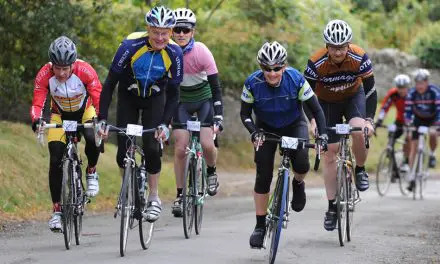 For more experienced riders they still provide you with the same cycling experience as a regular bicycle, but they also offer a boost when you need one, such as on a steep hill. How Do I Charge an eBike? Charging your eBike is easy. It comes with a charger which is plugged in to the mains power supply. On some eBikes, the battery can be removed which makes it far easier to charge indoors. It’s worth checking before you buy as you may find you have to take the whole eBike inside to charge it, which for some properties and owners, this may prove an obstacle. Charge times are usually between 3-6 hours, and it doesn’t matter if the battery is only partially discharged. Some chargers will have a controller built in to prevent over charging or over heating so you can relax while it charges. Of course you can help with the recharging by pedaling as you go. In the UK there are restrictions about the speed of an eBike. The maximum speed of an eBike motor is 15.5 mph in the UK. Up to this speed the motor will assist you while pedaling. Once you exceed this, the motor will cease and you will be pedaling the bike under your own power. eBikes are becoming more popular all the time with people of all ages. 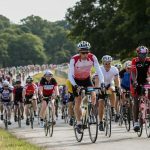 They are not just an easy way to cycle but they can provide a good work out to help with fitness levels too. If you are unable to cycle they can provide you with extra freedom and independence as you can rely on the motor to travel. You can get an eBike for the same cost as a good quality bicycle, so you don’t have to spend a lot. With prices ranging for £300 upwards they are easily affordable and they will keep you fit and healthy for many years to come.